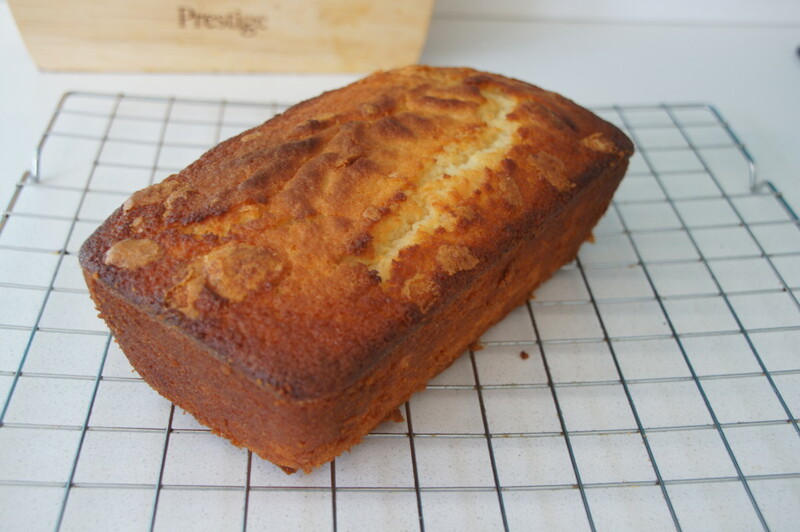 The cake has a dark, crisp crust that contrasts with the moist interior. 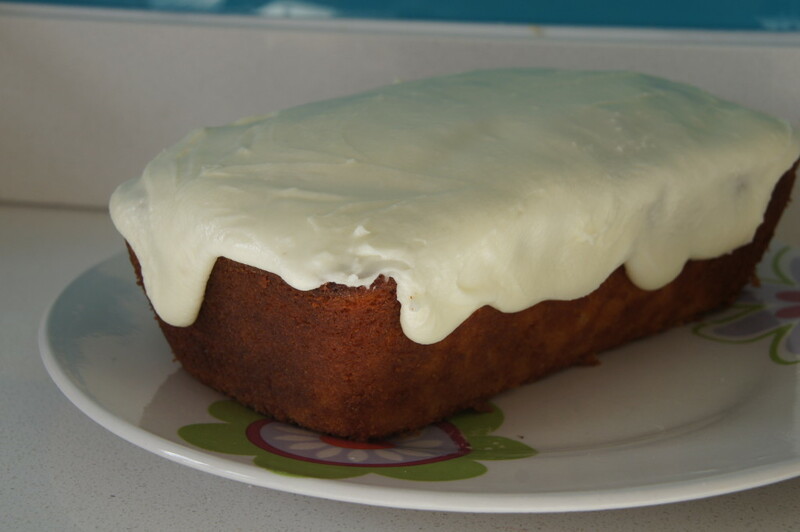 I found the cake to be not overly lemony – this might be because I used 2 lemons which were on the small side. If you like a really lemony cake I would suggest adding a little more lemon zest to the cake mixture. Speaking of the mixture, don’t be alarmed if it appears to be quite runny, it will cook! 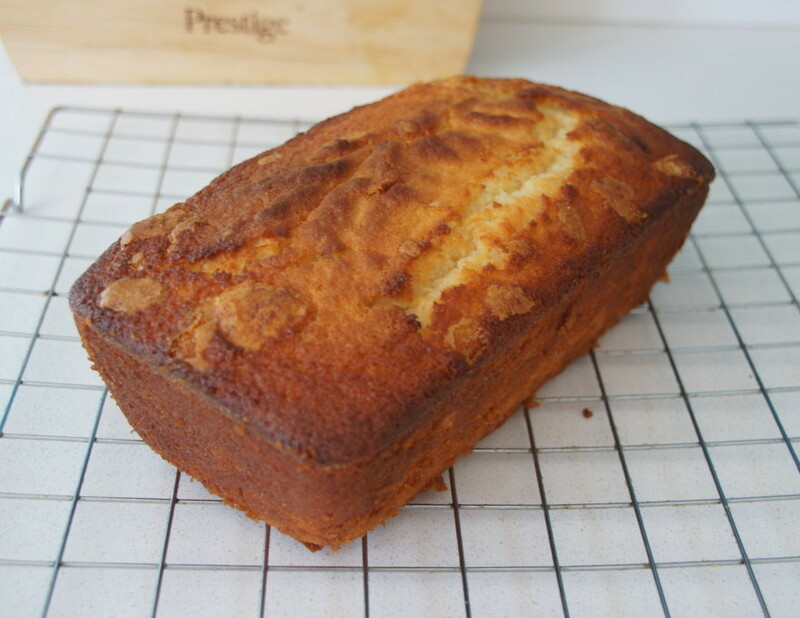 It does have quite a long time in the oven – if you find that your cake does start to brown a little too quickly cover it with foil until it is completely cooked and a skewer inserted comes out clean. 1. Preheat the oven to 170˚C. 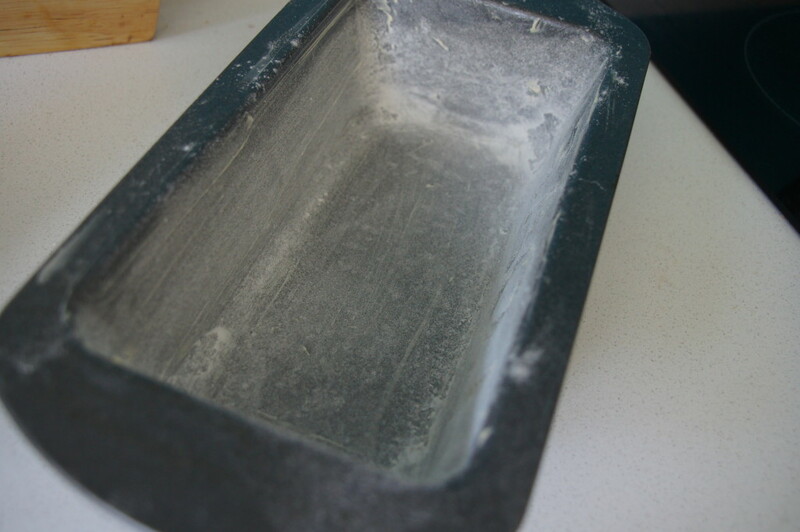 Butter and flour (or line) your 2lb loaf tin. 2. 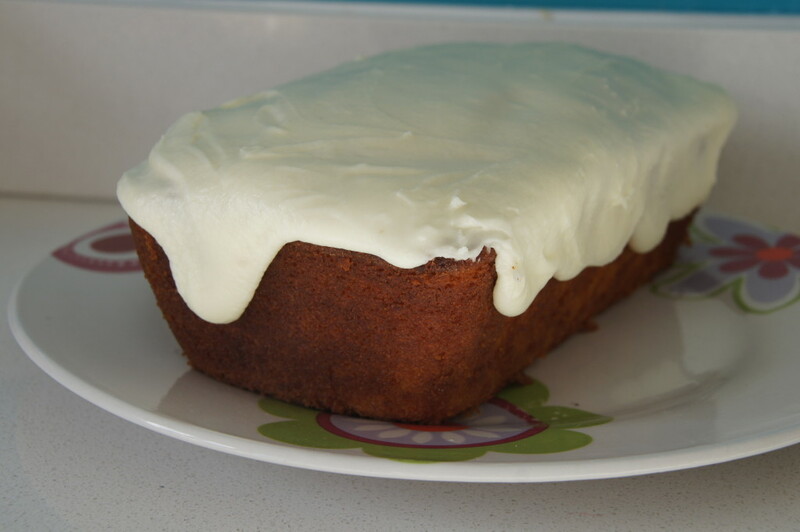 In a stand mixer (or in a large bowl with a handwhisk), whisk together all of the cake ingredients. 3. Pour into your prepared 2lb loaf tin. 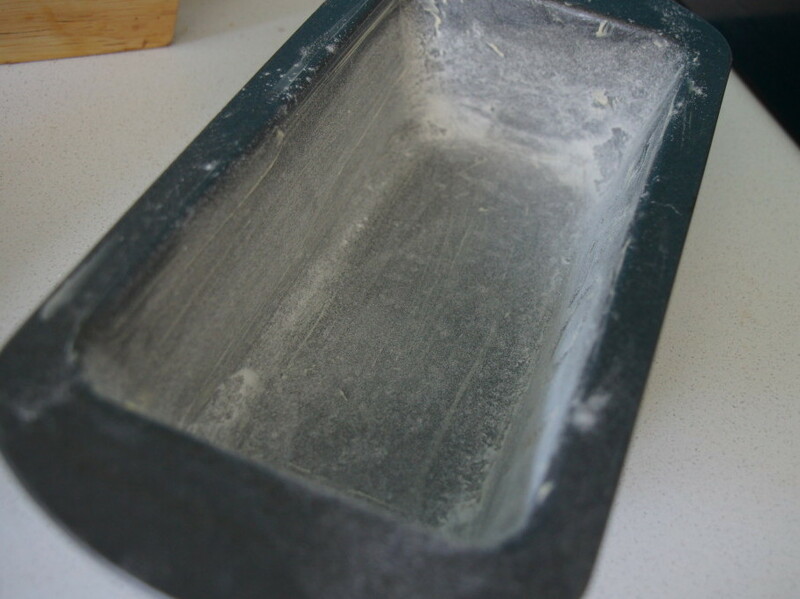 Bake for 45-55 minutes on the middle shelf of the preheated oven, until well risen and a cocktail stick or skewer inserted into the centre comes out clean. Switch off the oven, open the door and leave to cool in the oven for 15-20 minutes. 4. Turn out and cool completely on a wire rack. 5. 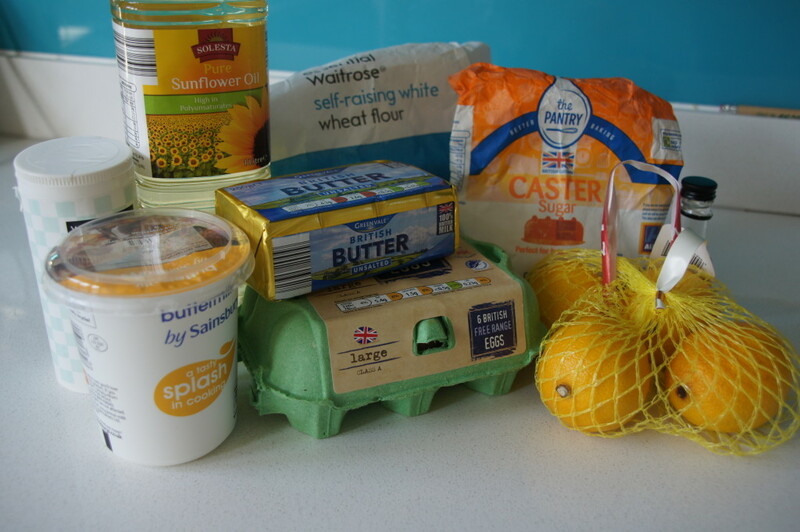 To make the icing whisk together the juice of half a lemon, butter and icing sugar until you have a thickish spreadable paste, cover the top and sides of the cake (I found I needed a little more lemon juice to get a spreadable paste – if you need more just add a little at a time).